Following the launch of a newly re-imagined animated series on Cartoon Network, The Powerpuff Girls will star in a series from IDW Publishing. 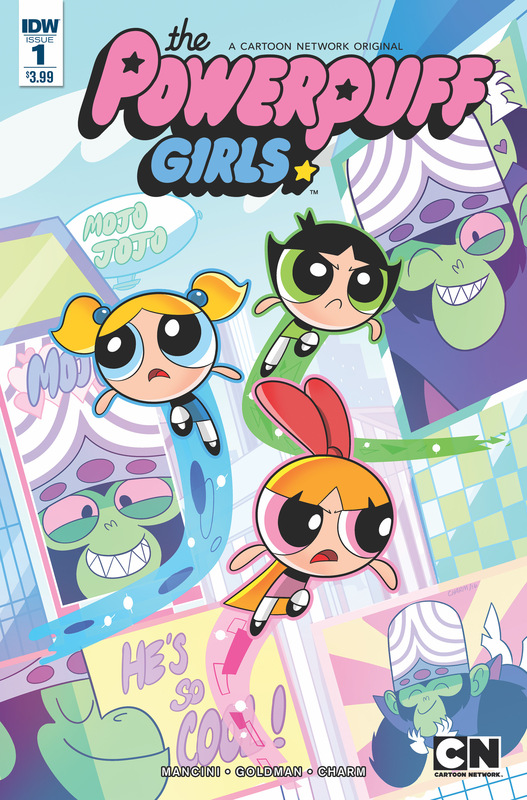 The comic will follow the new adventures of Blossom, Bubbles, and Buttercup based on the animation revival. The comic will work as an extension of the cartoon and will be penned by staff writers Jake Goldman and Haley Mancini (who also provides the voice of arch-villainess Princess Morebucks). Rounding out the creative team is artist Derek Charm. With crime rates at a low, the first issue finds the Powerpuff Girls fallen off the public’s radar as a result… making this the perfect time for arch nemesis Mojo Jojo to make a comeback and take the town by storm! Issue one will feature a subscription variant by artist Paulina Ganucheau and each retailer incentive cover will feature cover art by a Powerpuff Girls animator. From Townsville, USA to your local comic shop, Powerpuff Girls #1 launches this July!